Bremen - A narrow 1-0 win over SV Werder Bremen saw FC Bayern München set a new Bundesliga record as they became the first team in the league's history to win their opening nine matches of the season. bundesliga.com has all the reaction to a momentous achievement. 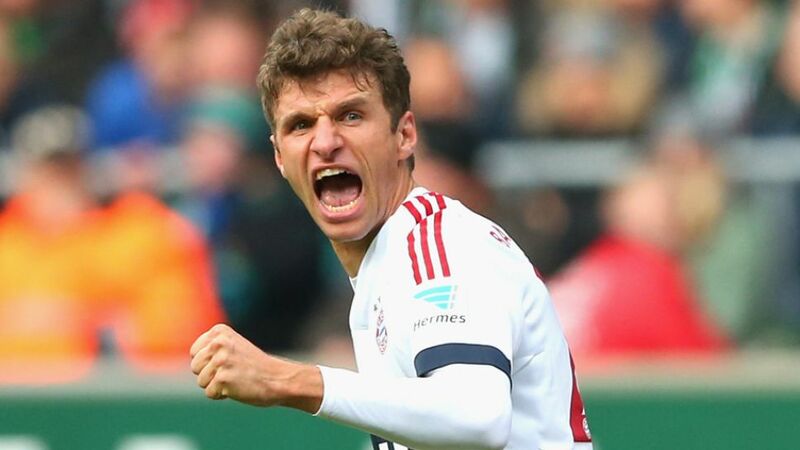 Thomas Müller: "The three points come with or without a record. But that is a nice side-note that will be hard to match. We were the dominant side and had one or two more chances, especially in the second half, as well as a couple of mix-ups in the Bremen penalty area. We would have liked to have got a second but it kept things tense right until the end. We played well overall." Robert Lewandowski: "We are very pleased with the three points even if we only won 1-0. You can't play perfectly every time. Werder played very defensively, with a five-man defence in their own box, which doesn't make it easy for attackers." Pep Guardiola: "We won a difficult match. Bremen defended deep and it wasn't easy to find space, especially without any wingers. We controlled the game but you know it is going to be tough at the end if the score is only 1-0. Congratulations to my team, this victory means a lot to me." Viktor Skripnik: "We set out to defend deeply and compactly when we didn't have possession and wait for our chance on the break. We were more adventurous toward the end but to be honest, Bayern could have finished the game off earlier." Felix Wiedwald: "We lined-up well at the back, made life difficult for Bayern and had one or two chances on the counter-attack. We could have snatched a draw with a bit more luck.